After a long day of skiing the lobby at the Four Seasons is perfect to kick back a cocktail and enjoy a few good laughs. 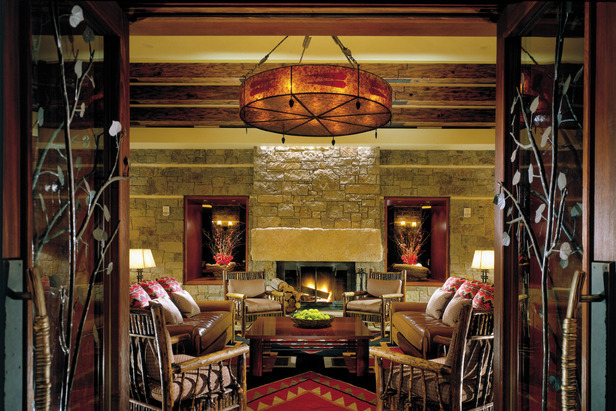 Beginners heading to Jackson Hole can enjoy the ease and comfort of meeting with one of the Four Seasons' ski concierge consultants the night before their private lesson as part of the “Green with Envy” package. Guests receive an introduction to the terrain of the mountain, a personal boot fitting and a brief history on the sport of skiing. Ski lessons during the day provide an intimate learning experience with one of Jackson Hole Mountain Resort's ski school professionals. Overall, the stay includes all ski rentals, lift tickets, the private lesson and a Peak Performance treatment at the resort's 11,685 square-foot alpine spa to follow. Not bad for a beginner. Daily rates start at $1,375 based on a four-night minimum. Book here.